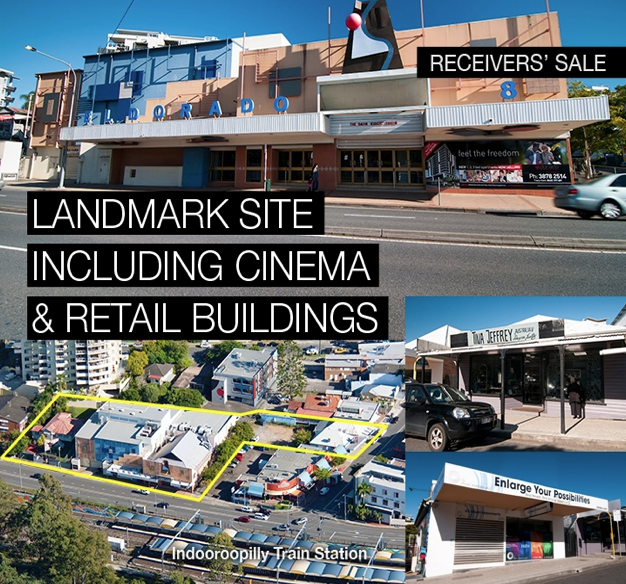 Although there is still website advertising for PCN's El Dorado Village apartment development at Indooroopilly, it seems like the developer is in receivership, and the undeveloped property is for sale. This is not a surprise. See past posts on this issue. Supposedly over 70 of the 100 apartments had been sold of the plan. Either this was a lie, or the developer just could not make the project work even at PCN's crazy high off-the-plan prices. I hope you are not waiting to move in to your new apartment at El Dorado Village! I guess it is good-bye, not good buy, El Dorado Village. 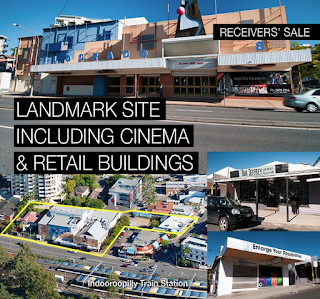 Eldorado Village after being purchased by Opera Projects (whom have interest in the cinema business for over 30years in the Eastern state of Australia) from the receiver late last year will continue to be run the ELDORADO as a cinema and look to remodel the existing cinemas in the coming year and obtain a DA approval that is more suited to the site than currently approved the works around the existing cinemas and not pulling them down. If you would like to register your interest in purchasing an Apartment in the NEW DA application please contact Daniel Nero of Vogue Agency on 0405724215.